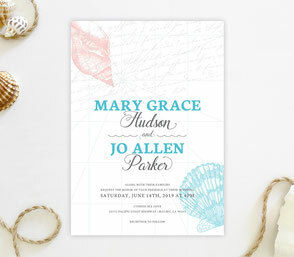 As you marry your one true love in the location of your dreams, don’t settle for plain invitations to share this amazing news. 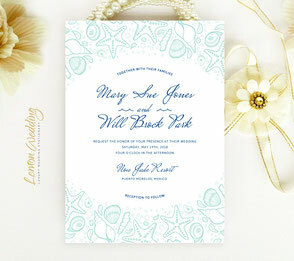 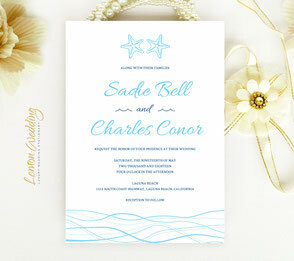 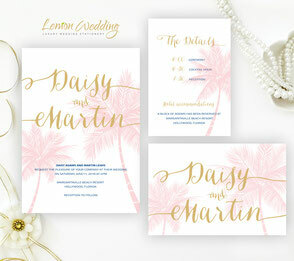 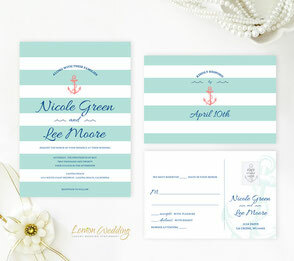 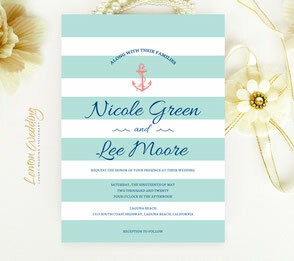 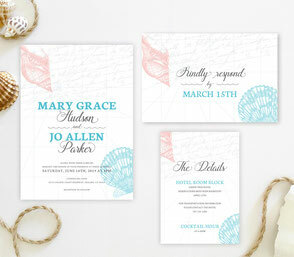 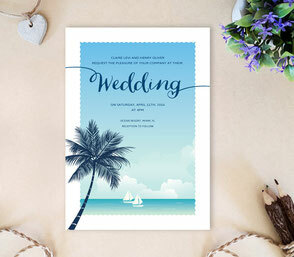 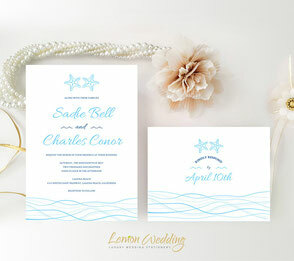 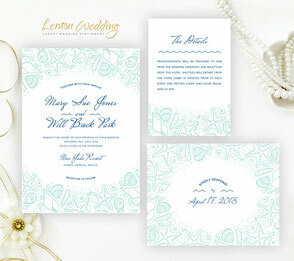 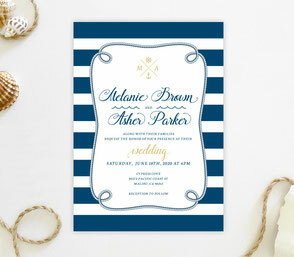 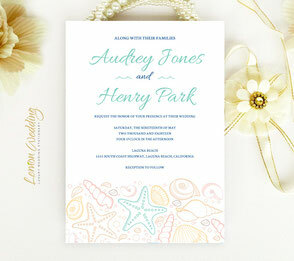 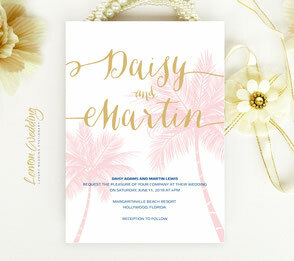 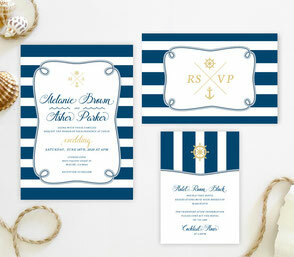 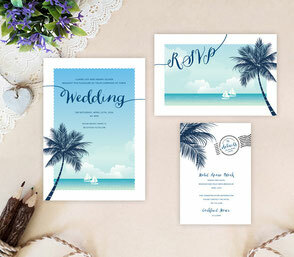 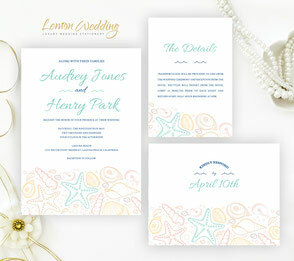 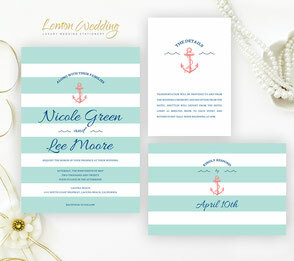 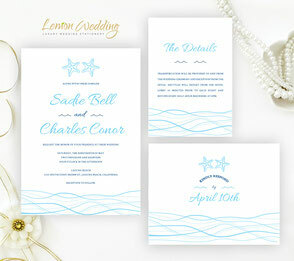 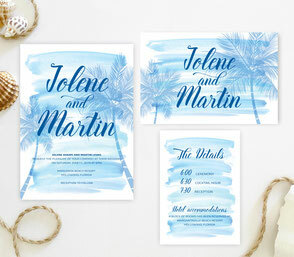 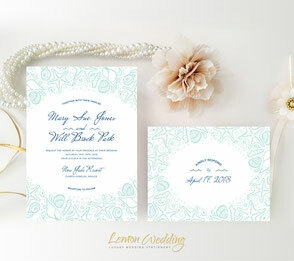 Pick from among our Nautical Wedding Invitations that will perfectly match you’re upcoming nuptials location. 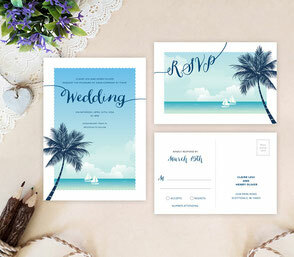 Whether it’s by the ocean, on a nautical cruise or in Hawaii, our cards will perfectly capture the setting and build anticipation for your once-in-a-lifetime wedding. 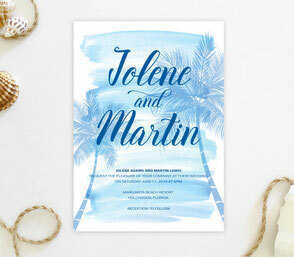 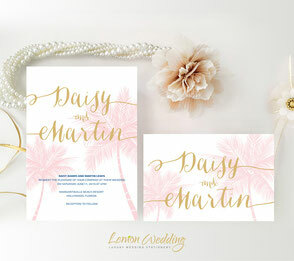 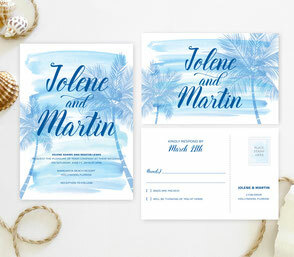 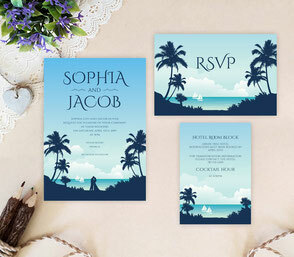 Each of our invitations features unique themes that showcase breathtaking artwork and a relaxing color scheme. 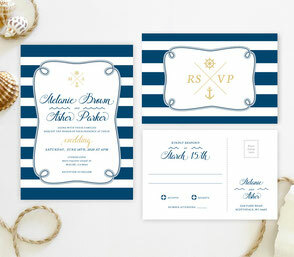 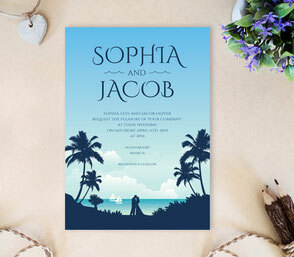 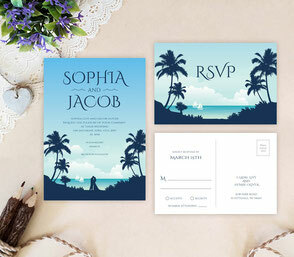 All of our nautical invitation sets are printed on premium shimmer card stock paper and include a lovely wedding invitation, R.S.V.P card and additional detail card.